Emmett, Catholicism, Faith, Amends – Tell my story. It was a tough time to be Roman Catholic in Florida during the early 1900s. Heck, it was tough to be Catholic anywhere in the U.S. at that time. When Emmett moved back to Pensacola in 1906, to rebuild his career after his embarrassing tenure in Illinois, image was important. Connections were important. So, Emmett spent a lot of time during the first year making connections, attending luncheons with important folks, avoiding any opportunity or situation that might reflect negatively on his character and/or business future. And yet, Emmett was surrounded by Catholics. Several of his closest colleagues were Catholic. His closest friends (whom he considered family, and vice versa), the J. Walter Kehoes, were Catholics. I wonder if, during this time, Emmett felt torn being around them on occasion. Catholics were persona non grata at this point in Florida political history. 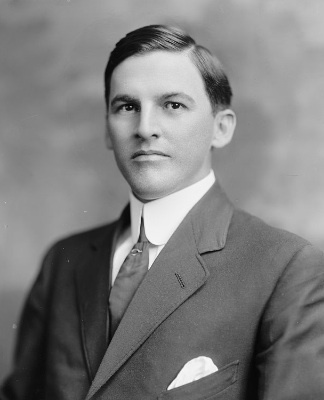 Florida’s governor Sidney Catts, who ran on the Prohibition ticket, campaigned mightily against Catholics, and anti-Catholic sentiment was growing during this period in the United States. Yet, the Wilsons and the Kehoes were longtime friends, and trusted business partners. I believe Emmett didn’t really care about the Kehoe’s Catholicism, even when he lived with them, broke bread with them daily. Emmett had to have bowed his head — and prayed along on occasion — as Walter or Jennie and their children said grace with each meal. Emmett’s mother, Elizabeth Maxwell Wilson, about 1865. It wouldn’t have been a stretch: Emmett was Episcopalian, raised in Chipley, Florida by a mother who was devout and would spend Sundays singing hymns with her children at home when they were unable to travel to church for services (the closest Episcopal church was in Marianna). The Episcopalian prayers are almost identical to the Catholic prayers. Emmett was comfortable in the Kehoe household, regardless of brand. When Emmett moved to Pensacola in 1906, he joined Christ Church (the same that his mother, grandfather, and uncle attended). His attendance was inconsistent, although he did give occasional financial support, and it was noted in The Pensacola Journal that he signed a parish petition to retain a minister. It is near impossible to know what Emmett thought about God and religion; knowing Emmett, if he did have a strong faith in a higher power, he would have kept it, like his personal life, quiet. He was not demonstrative about these things, certainly not in public. I like to think Emmett had some kind of ongoing, internal dialog with his Higher Power, but perhaps, he spent more time talking than listening — something else Emmett and I have in common. I’ve been putting edits into the first chapter of Emmett’s book this week, and it is going well, although it is a difficult process. The first chapter opens on Emmett as he lay dying of alcoholism in the San Carlos Hotel. It is a painful exercise recreating the end-stage alcoholic condition, its intensity, and its effect not only on Emmett, but on the Kehoe family, who obviously loved him as a son, and but could only helplessly stand by and wait for the end. There was no Alcoholics Anonymous yet; treatment of the alcoholic was inconsistent and sporadic in most communities, and the general philosophy was to give the alcoholic drugs — which were often just as addictive. The general view was that drunks were mentally and spiritual decrepit — why else would they turn to outside substances to maintain their addictions? So, it has been a tough 10 days — it is emotionally wrenching as I try to understand what it was like to struggle with alcoholism at a time when there weren’t many options? Emmett tried to stop at least twice — and he couldn’t do it, obviously. He needed help, and he was unable to get what he needed. I know what it feels like to struggle with this disease; today, we have options, and programs, and (for the most part) more understanding about how to treat alcoholism. There are programs that work. One needn’t suffer alone — and that’s a foundation of AA — you are NEVER alone, and together, we can make it. Yesterday, I picked up a 10 year chip. It may sound strange to say this: Sobriety hasn’t been easy, but it has been good, and the struggle is worth it. Telling Emmett’s story is part of my program, you know. His story has helped me stay ‘on the beam’, and I often believe that doing this with Emmett is a way to help him close the circle, make amends. His message is still relevant, even 100 years after his death.